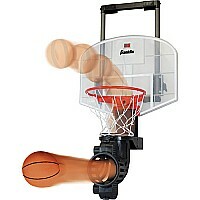 Just like the game, the design of this indoor basketball hoop has been carefully thought out. 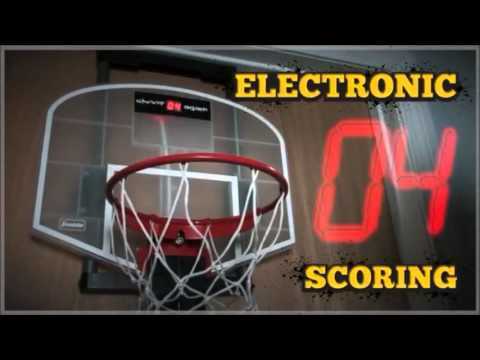 The basket and backboard feature electronic scoring, a time clock, and exciting sound effects. Sink your shot with the realistic foam basketball, and the rotating ball return sends it back. 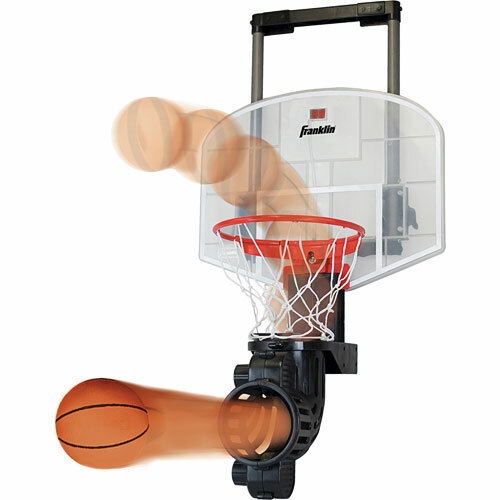 Adjustable to fit over most doors, this is the basketball game that jumps through every hoop. Requires 6 AA batteries, not included. (28 x 13 x 17"h) From Franklin Sports for ages 8 yrs-teen.